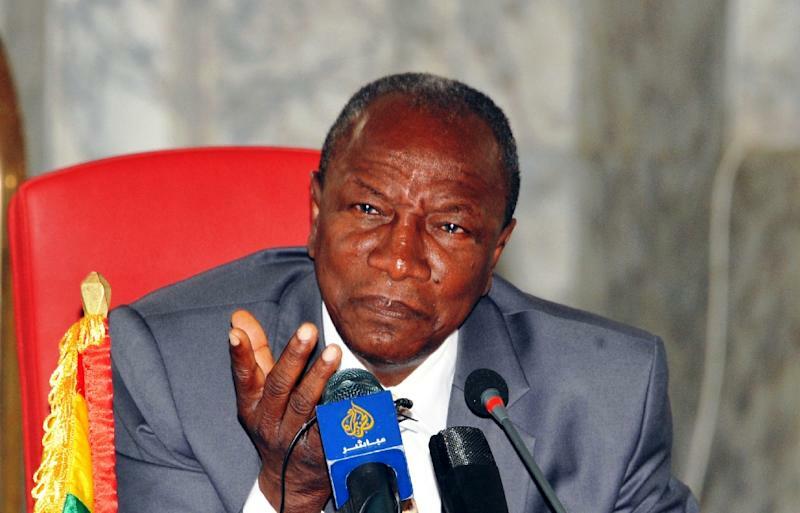 Conakry (AFP) - Eight contenders including current head-of-state Alpha Conde have been approved as candidates for Guinea's second democratic presidential election, the constitutional court said on Wednesday. The list is a mixture of outsiders and opposition big-hitters including former premiers Cellou Dalein Diallo and Sidya Toure -- but notably omits exiled former junta chief Moussa Dadis Camara. Camara has been living in Burkina Faso since an assassination attempt a year after seizing power in a coup in 2008 and had signalled his intention to run. But his plane from Ouagadougou was prevented from landing last week at Abidjan in Ivory Coast -- where he was due to catch a connecting flight back to Conakry. His allies believe the move was engineered by the government, which has denied any involvement. "Eight candidates, including a woman, came forward to register," Cheick Fantamady Conde, secretary-general of the constitutional court, told AFP after the Tuesday deadline passed. While the list is dominated by political veterans, it also features several hopefuls who have not stood before, including Marie Madeleine Dioubate of the Guinea Ecologists Party. The month-long campaign period begins on September 10, ending two days before the October 11 vote, an election commission source told AFP. The list of candidates is a third the size of the field for 2010, when Conde became the country's first democratically-elected leader. Many hoped that election would put an end to years of dictatorships, coups and political violence fuelled by ethnic conflict. But simmering tension continues to erupt into violence in the mineral-rich but deeply poor nation, where political mistrust remains entrenched. The ruling party and opposition sealed a deal in August on the organisation of the presidential vote -- which had sparked deadly violence -- raising hopes for a peaceful election.